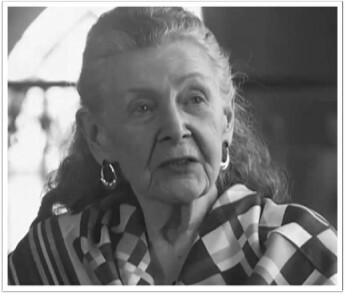 “Powerful and insightful, this documentary provides a close up look at the life of renowned Jungian Analyst and author, Marion Woodman. With honesty and her trademark wit, Woodman shares the mysteries of her own soul's journey and reveals a series of psychological "deaths" and "Rebirths" that made her one of the wisest and most authentic women of the twentieth century. Featuring stunning animation from Academy Award winning artist, Faith Hubley, and dialogue and insight from author and mystic, Andrew Harvey. Marion weaves her inner and outer lives together and transmits the core truth of what it is to be human. Marion Woodman who died in 2018, was a most beloved Jungian Analyst, writer and mythopoetic voice for her generation. She brought the ‘Dark Feminine’ into consciousness and helped many people who were trapped irrevocably in addictive behaviours and body-denying lives. She made her work out of acknowledging the need to own our bodies intimately, within the psychological lives we live. Her own illness (cancer) moved her out of her own conventional pathway and into an exploration of her inner life. Her work was and continues to be an unfolding of some of the richest within the field of Jungian studies. There will be a short panel discussion following the film if time permits.